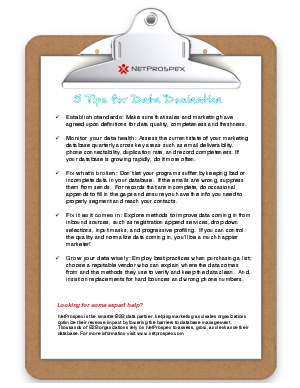 > NetProspex > Are you a data driven marketer? Take this quick test and find out now. NetProspex surveyed 445 busy marketers and only 8% of them classified their lead gen efforts as "very successful". Yikes! NetProspex, in partnership with Ascend2, put together a profile on what successful lead generation will look like in 2014. See how you compare by taking the survey and then downloading the report!